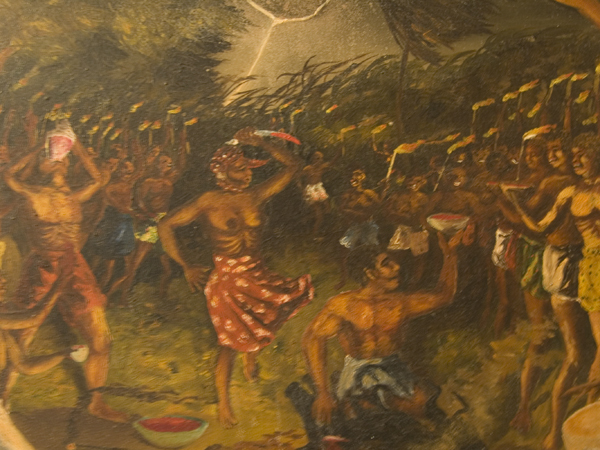 HAITIAN ART: Food for the Spirit. Pittsburgh has deep roots in Haiti. The first paintings started finding their way here soon after L'Hopital Albert Schweitzer was opened by Larry and Gwen Mellon in 1954. 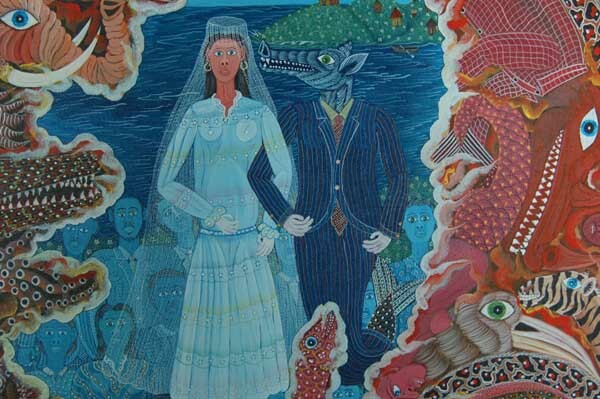 Mrs. Mellon was a connoisseur and huge supporter of the arts, especially in the Artibonite, but she also shopped the galleries in Port-au-Prince. She was in her 80's when she discovered the groundbreaking sculptor, Camille Nasson at the Galerie Monnin. 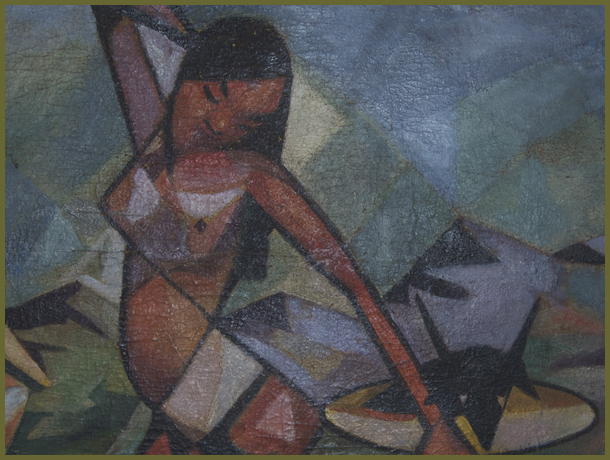 In the 1970's, Bob Brictson supplied Pittsburghers with high quality Haitian Art from his base in Jacmel. He was on intimate terms with the masters, Pauleus Vital and Prefete Duffaut, and Bob actually discovered the legendary Edger Jean Baptiste. Later in the 70's Frances DeBroff and Susan Nernberg invaded Haiti, soon after which their impeccable taste was on display at their wonderful Haitian boutique, The Tropical Touch. They also made clothing in Haiti for many years, sponser young musicians and remain passionate about the country, always involved. Galerie Macondo, opened in Philadelphia in 1974 by Bill Bollendorf, moved to Pittsburgh in 1980. There's a lot to see in that house. At the end of the 80's, Lucy Rawson continued and expanded Gwen Mellon's work when Lucy and Ian Rawson, Gwen's son, founded the Friends of HAS, an art based fundraising org for the hospital. 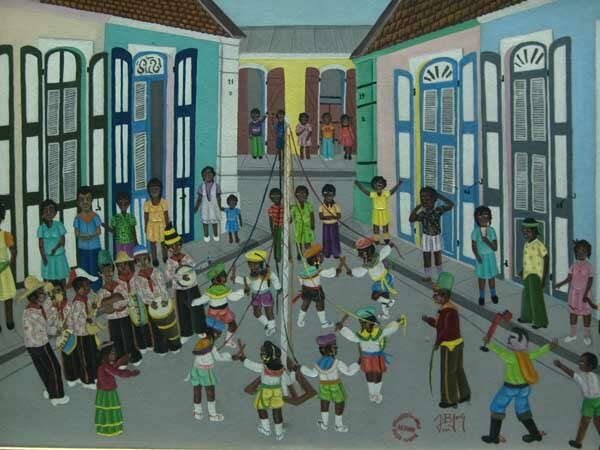 The very best Artibonite paintings outside of Petit Riviere can be found here, thanks to Lucy. 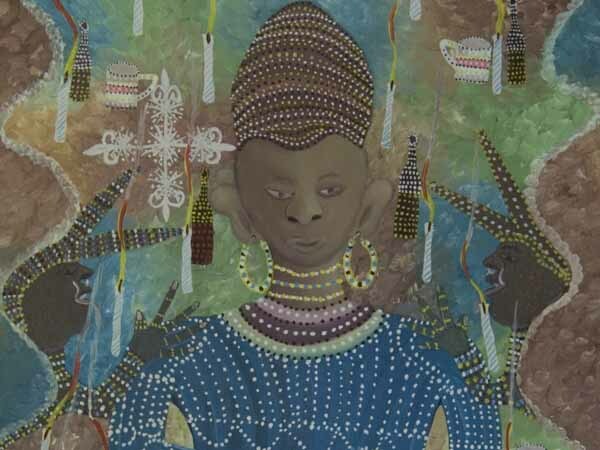 The conference will include visits to collections in private homes, a curated show of selected Haitian art and lectures in some beautiful rooms at the University of Pittsburgh. Our presenters are Marcus Rediker, author of the award winning book, "The Slave Ship", always a captivating speaker. He is a teacher, Distinguished Professor of Atlantic History, and an avid collector of Haitian art. Marcus will speak on " Haiti: The Crossroads of Surrealism" Also, Bill Bollendorf will show some photos from an August trip to Haiti,"Goudou-Goudou: Snapshots of Port-au_Prince"
Frantz Zephirin, a frequent visitor to Pittsburgh, promises to be here during the conference too with some new work. He has been in great demand internationally since his work appeared on the cover of the New Yorker and Smithsonian Magazine, but we shall see. He is overdue for a visit. Update: Septemer 29, 2010. Zephirin has told me he will "be with us in spirit", which he always is anyway. So I am sorry to assume that his body will not be here. On Saturday, the 16th we will motor through the blazing countryside to see a nice collection, then onto FALLINGWATER, Frank Lloyd Wright's signature house. The leaves will be turning in Western PA. It is a wonderful time of the year here. After Fallingwater we will stop at a very special house nearby for a closing party. Pittsburgh is a beautiful city with a diverse population; Mill Hunks and Blue Bloods rub elbows here and there. Pittsburghers are friendly. We wouldn't invite you if we were not going to show you a good time. This will be a fun weekend. Four or five days here will be relaxing and there will be enough to do. Any Profits that may be realized at the event will be donated to the Smithsonian Haiti Cultural Recovery project, to assist in restoring the art patrimony.